De is one of the Co-Founders of Thirty On Tap. She was a New Yorker for most of her life, but now calls Boston home. On top of working as a full-time writer & editor, she is also an actress/singer/dancer/director/choreographer, self-declared Pokémon trainer, and retired “Pretty Little Liars” theorist. Some of her favorite things include dark nail polish, winged eyeliner, koalas, and dance parties. 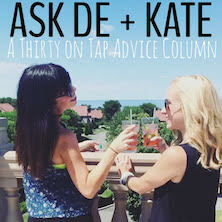 In addition to running Thirty On Tap with Kate, De is the Weekend Editor for Teen Vogue. 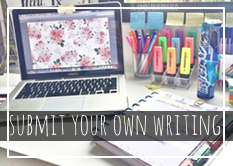 Her writing can also be found at Allure, Glamour, Hello Giggles, Romper, Bustle, and The Financial Diet. 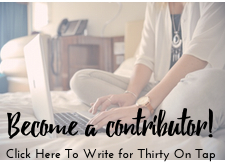 She also blogs at Edits From Motherhood, a blog all about parenting and being a new mom.